LILONGWE (MaraviPost)–In a quest to have quality health services in the country’s public hospital with sufficient resources, the much awaited health fund including users fees and insurance is expected to get grounds come July this year. The health fund is part of the much touted public reforms in health sector aimed at soliciting resources into one package for the improvement of the health services with the call from health experts for accountability in the utilization of public funds. 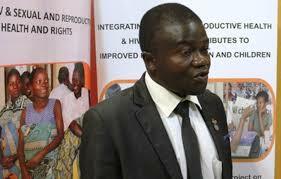 Malawi’s Minister of Health, Dr. Peter Kumpalume disclosed the readiness of the health fund to The Maravi Post in the capital Lilongwe over the weekend after Options Consultancy Services Limited (OCSL), an international organization working in Malawi hosted the first ever knowledge café in a bid to strengthening access to quality health services. Dr. Kumpalume emphasized the need for all the stakeholders in the health sector to support the initiative in a bid to improve health quality services with sufficient resources. “The Knowledge Café on health has given government insights on how best Malawians can access good quality service. The café’s output is a reel way into public reforms my ministry is embarking including establishment of the public fund where all stakeholders’ resources will be put in one package for easy utilization. The Maravi Post later caught up with Jo Elms, Options International’s Managing Director who hinted the need for transparency and accountability in the utilization of the resources which the health fund will generate saying his organization was will support more on the program. Elms therefore lauded the manifestation of decentralization of funds in public health facilities with the call to put strong measures in controlling resources from mismanagement and abuses by public officers. “We are delight with the progress on effort to improve transparency and accountability in the utilization of public resources which are meant for the poor’s access to quality health services. Options will support any initiative which aims at improving the health of pregnant mothers and infants as our core business of operation. We are here in Malawi helping government to realize the needs of people who live in remotest area where access of quality health services is a challenge. “Options use knowledge café to bring together government figures, health planners and professionals, representatives from NGOs, the media and the donor community to discuss how accountability in the health sector can be strengthened so as to ensure that all Malawians can have access to good quality health care. Therefore, we are satisfied for the output which has helped government to start looking outside of the box on how to improve delivery of quality health services in the country”, delighted Elms. Option is an international organization delivering high quality, innovation health programs while building partnerships to transform the health of women and children and runs program including Malawi Health Sector Program (MHSP-TA) with funding from the UK Department for International Development. Since 2011, Options international has been working closely with Malawi government and NGO partners on a range of health sector programs including the Parent and Child Health Initiative (PACHI)’s MamaYe Campaign as it’s also implementing the Health Budget Advocacy (HBA) Transparency Scorecard in Rumphi, Nkhata Bay and Mzimba districts. Options has previously held Knowledge Café events in London and Nepal which bared fruit of quality services in those countries which provide a productive forum of life time prospects in finding ways on how best our health services can be improved especially on maternal health. The aim of SWAP was to put all funds in one basket so medical professional to target them to priority areas but some buffoon without medical backgrounds calling themselves experts EAT the monies, abused and misused them till donors cried out and pulled out. Now you have repackaged the same think into health fund. Essentially you now want to EAT patients out of pocket monies. Cash gate everywhere.